Shtefan Brandt, adjutant to a colonel of the Waffen SS, has made it through World War II so far in spite of his commander’s habit of bringing his staff into combat, and a pair of secrets that are far more dangerous than the battlefield. Shtefan is a Mischling and one of the thousands of German citizens of Jewish descent who have avoided the death camps by concealing themselves in the ranks of the German army. And he is in love with Gabrielle Belmont, the colonel’s French mistress. Either of those facts could soon mean his end, were Colonel Erich Himmel to notice. Colonel Himmel has other concerns, however. He can see the war’s end on the horizon and recognizes that he is not on the winning side, no matter what the reports from Hitler’s generals may say. So he has taken matters into his own hands, hatching a plot to escape Europe. To fund his new life, he plans to steal a fortune from the encroaching Allies. A fortune that Shtefan, in turn, plans to steal from him. 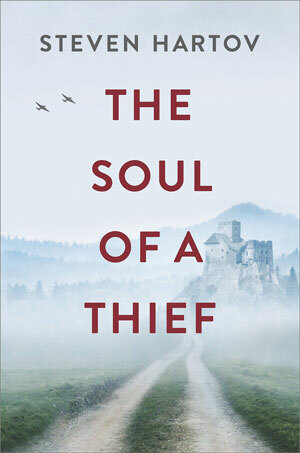 Atmospheric and intense, The Soul of a Thief captures the turbulent, emotional rush of those caught behind the lines of occupied France, where one false step could spell death, and every day brings a new struggle to survive. Published on July 24, 2018 in Literary Loop and tagged front by Kristy Johnson.